The Philippine Carabao Center (PCC) conducted the “Value Chain Players Consultation on National School Feeding Program Implementation” last March 28, 2019 at the PCC National Headquarters and Gene Pool, pursuant to the implementation of Republic Act (RA) No. 11037 or “Masustansyang Pagkain Para sa Batang Pilipino Act”. The activity was organized through concerted efforts of representatives from PCC’s 12 regional centers, the Department of Education (DepEd), Department of Social Welfare and Development (DSWD), Department of Trade and Industry (DTI), National Nutrition Council (NNC), Department of Agrarian Reform (DAR), Asia-Pacific Rural and Agricultural Credit Association (APRACA), Carabao-Based Enterprise Development (CBED) coordinators, cooperatives, local government units from Region III and other entities. With the implementation period nearing, which is on June 2019 onwards, the activity was held to clearly identify the members of the value chain, which are categorized into five groups: milk producers, milk processors, milk distributors, implementers, and capability building group, in order to discuss issues as to how these groups will work together from producing the milk from the carabao, processing it, and distributing it to the intended beneficiaries in their respective regions. The main issue addressed was the sufficiency of milk to cover the number of children to be fed, with possible solutions suggested such as formulation of a long-term development plan for animal production to breed potential milk producers, close monitoring of day-to-day milk inventory to prevent spoilage, promotion of ‘twice-a-day-milking’, and rental of lactating animals from private individuals, with the goal of increasing milk production. As per estimate by the DepEd and DSWD, a total of 3.7 million children, need to be fed with fresh milk for 120 days in 100-200mL servings, with a total national requirement of approximately 605,000 liters per day. Milk processors needed to ensure application for the necessary permits, compliance with milk quality and food safety standards, potential upgrading of existing plant facilities, and attendance to relevant training as required by the Food and Drug Administration (FDA). 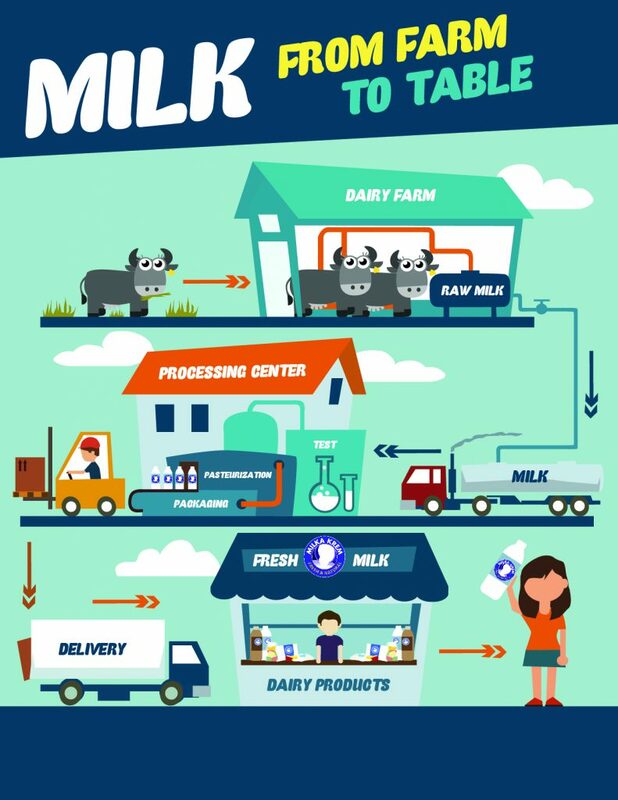 The milk distributors were required to be registered with the Philippine Government Electronic Procurement System (PhilGEPS). On the other hand, implementers were tasked with the observation of the height and weight of the children, whether they correspond with their age requirements. Members of the capability building group were assigned to coordinate with other government agencies for the provision of credit facilities and learning activities for the other groups to be equipped with required technical, financial, and product knowledge. Dr. Caro B. Salces, PCC Deputy Executive Director, urged everyone to fully participate and give their best effort in order to minimize, if not eliminate, the problem of malnutrition in the country.